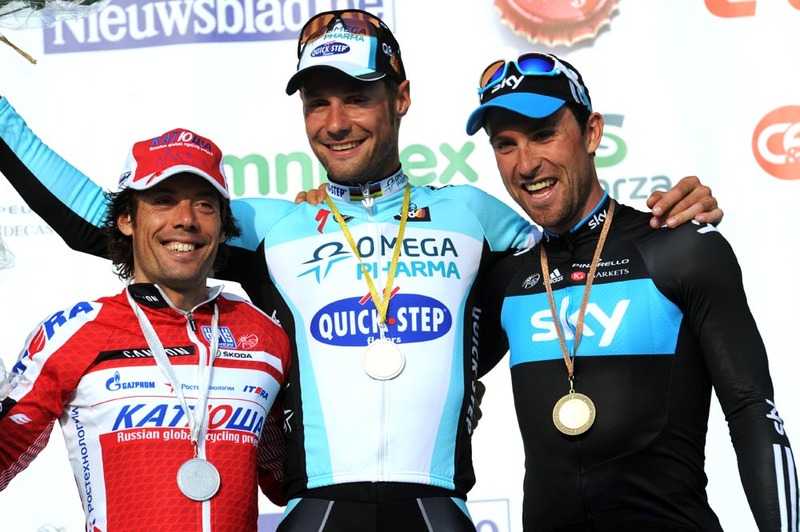 Tom Boonen (Omega Pharma-QuickStep) has won the E3 Prijs Vlaanderen-Harelbeke on Friday, narrowly holding off a fast finishing Oscar Freire (Katusha). The race ended in a messy bunch sprint into Harelbeke after Boonen’s Omega-Pharma Quickstep team had controlled the race for the majority of the day. Sky’s Bernhard Eisel finished in third. Rescheduled to a Friday for 2012 to allow riders to compete at Ghent-Wevelgem this Sunday, organisers will undoubtedly be pleased with the rider’s response. The race saw the key favourites for the upcoming spring classics active at the head of affairs, testing both themselves and their opposition. A nine man break escaped with an hour of racing gone including three Farnese Vini riders and Saxo Bank’s Michael Morkov, who was in a break at a stage in Paris-Nice, Milan-San Remo and Wednesday’s Dwars Door Vlaanderen. 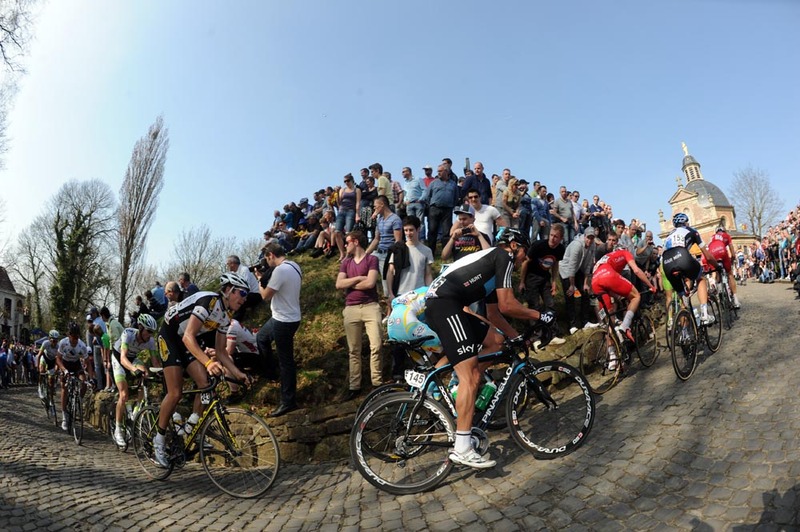 The break managed to build up a lead of nearly seven minutes by the Muur van Geraardsbergen but, as is becoming the norm in 2012, Omega-Pharma Quickstep hit the front and soon brought the time gap back down. It was a bad day at work for Belgian champion Philippe Gilbert who could been seen loitering around the back of the group while knocking back gel after gel. He eventually capitulated with 45km to go. Just Oscar Gatto (Farnese-Vini) was left hanging out in front when the race hit the crucial climbs of the Paterberg and Oude Kwaremont. An attack from Fabian Cancellara looked to have made a decisive split before the Radioshack Nissan Trek rider punctured for a second time and was hit from behind by a Rabobank rider as he stopped at the side of the road. French champion Sylvain Chavanel and Astana’s Dmitri Muravyev found themselves at the front of the race leading into the closing kilometres but a strong chasing bunch, including Ian Stannard, meant a sprint finish was secured with just under 10km to race. Stannard swung off with 2km to go and with two team mates to lead him out, Boonen was in a perfect position to finish it off and claim a record fifth victory at E3 despite the late surge from Freire. The win confirms Boonen’s form and he will now head to Ghent Wevelgem and the Tour of Flanders as one of the firm favourites. 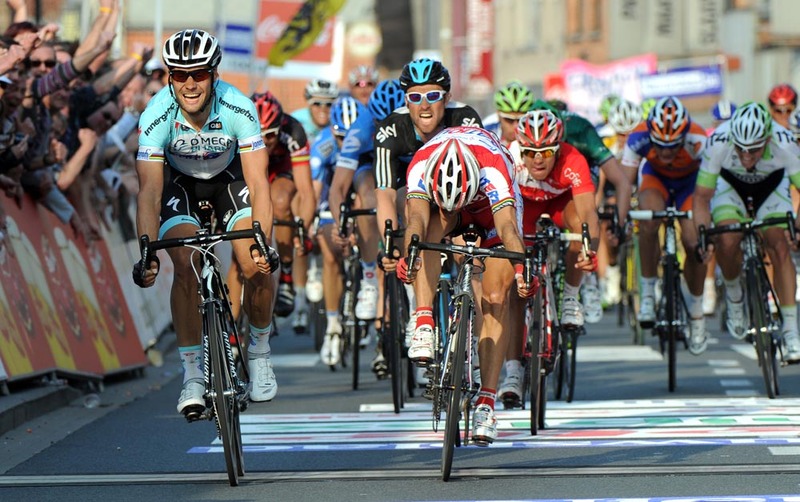 It was a disappointing day for Cancellara, who could be seen puffing his cheeks in the peloton in the finale. Despite a race filled with bad luck, his shows of strength means he remains Boonen’s main rival for the upcoming spring.